Moving here, in 1971, was one of the best decisions my parents made for our family! I moved to Magnolia in 1971 and graduated from Magnolia High School in 1975. It was there that I met my High School Sweetheart, Deanne “Free” Riley. We have been married for 40 years. Together, we raised 2 children in Magnolia. They are Charles “Rip” Riley and Alicia “Riley” Curry, both of which graduated from Magnolia High School. We have been blessed with 4 precious grandchildren, whom all attend Magnolia schools. I consider it a great honor to have had the opportunity to serve as the Manager of Precinct Operations for Montgomery County, Pct. 2 for 14 years and to have been elected as your Commissioner in 2015. I trust that I have been able to make a difference in the daily lives of residents who live in this Precinct. I will continue to include conservative values, strong work ethics, and accessibility, which ensure Pct. 2 is well represented as we strive to improve the quality of life throughout Montgomery County. Improve safety and security for our citizens. Listening to my constituents is the most important thing I can do–”the constituent is always right”. Public offices exist solely to serve the people. Second, and equally as important, I will continue to maintain a strong relationship with law enforcement. The quality of life for the citizens of Montgomery County is my main concern and I know that feeling safe and secure is a cornerstone for their happiness. Lead a fiscally conservative and transparent office. It is my desire to lower the tax burden on the citizens of Precinct 2. We enjoy great freedom in this country yet the taxpayer is is often shackled by wasteful spending and “bridges that go nowhere”. As Commissioner, I would take every opportunity to ensure the citizens of Montgomery County are able to keep more of their paychecks and enjoy the liberties of our amazing country. To that end, I will remain committed to investigating all funding options that would minimize taxpayer debt. Increase mobility, promote industrial growth, and pro-actively plan for progress. I believe that, a flourishing business community will strengthen our economy. In addition to improving safety and minimizing taxpayer burden, I will look to the future of our community by helping to create an environment that is attractive for businesses. This includes increasing mobility through current and future road projects, preserving and improving public infrastructure, and working with local government to create a low business tax burden. With these steps we can bring more businesses to our community and therefore lower personal taxes. Continue serving Montgomery County with Southern values and dedication to the Lord. I have been a part of Montgomery County since 1971. Because of my love for God and Southern values, I have contributed with hard work and dedication. This will not change if I am elected as your Commissioner. Those who know me will tell you that I am honest and true to my word. If you do not know me, I hope to be given the chance to serve your needs as I always have for our community. •	Married to Super Wife, Deanne, for 40 years, and counting. •	Four precious grandchildren, Kynlee, Karlee, Bryton and Kade. All children attend school in Magnolia ISD. 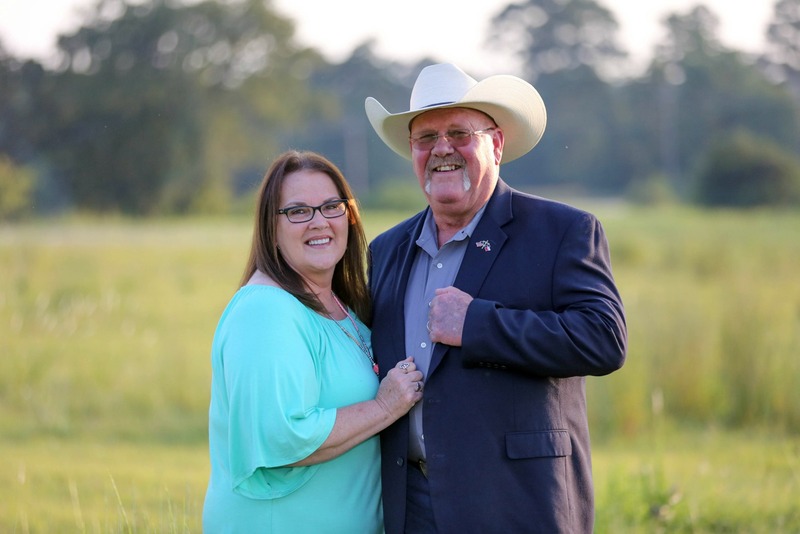 Before being sworn in as Precinct 2 Commissioner in 2015…. •	As Operations Manager, Charlie was the liaison for several community and homeowner associations. •	Sponsor, supporter and actively involved in the Shattered Lives Program.